Everybody likes to tell stories. They help us communicate. They also help us explain how things happen and why they happened the way they did. According to best-selling author Yuval Harari, storytelling is one of the two reasons why homo sapiens survived while so many other species died out. The explanatory power of stories, however, does not follow a simple A → B cadence. I’ll start this with a quick segment from a great book. In Brad Stone’s best-selling book The Everything Store, he describes a fascinating conversation when he first approached Jeff Bezos about writing the book. The foresight of Bezos to ask a question like this demonstrates the unprecedented self-awareness that most us lack, despite our best efforts. It’s probably because he’s still on Day One. For the rest of us, it is easier to use stories to explain situations, often overlooking the randomness and luck that contribute to the outcomes that follow. While we’re naturally inclined to communicate with stories, they can cloud our understanding of how things have happened and how they will happen in the future. Recalling a conversation with Marc Andreessen and Tim Ferriss, Andreessen compared VC’s and value investors. He said VC’s bet on the ways in which the world will change. Value investors in the public markets like Warren Buffett bet on things staying the same. There have been lots of bets placed on the upending of the financial services industry in recent years. While there are a myriad of well-crafted pitches in attempt to validate this thesis, the mission has proved far more difficult than the narratives suggest. In this post, I will look at the marketplace lending space in particular, focusing on its seemingly massive addressable market and the difficulty posed by the alleged conquest of the conventional bank industry. If what I am saying is already obvious to you, please refer to the title of this post. Marketplace lending is a sector of the financial services industry that has garnered high profile reception since 2014. By removing the bank from the equation, borrowers have a quick, seamless experience while the creditors (aka investors) are presented with generous return prospects. The poor reputation of banks, particularly after the crisis, as well as the shifting demands of millennials appeared to be a nice one, two punch that would push peer-to-peer lenders into the forefront of the lending space. The (too) oft cited statistic that millennials would rather visit a dentist than a bank certainly added some firepower to that argument. I first learned about marketplace lending through a college investment club stock pitch. The idea of investing in others struck me as both a promising opportunity with a massive addressable market as well as an admirable alignment of interests among involved parties. A notable part of the investment thesis was that once the concept gained traction and prospective borrowers and investors developed an increased awareness (opportunity demonstrated below in Figure A), the service would begin to market itself. Why undergo a lengthy, drawn out process with a bank when you could do the same thing online in a matter of minutes while finding comparable interest rates? The amplified product and brand awareness for this alternative lending option would help to stimulate the industry in such a way that it could really start to eat into the “Trillion Dollar Opportunity” that Charles Moldow described in 2014. This traction would help to drive down the customer acquisition costs (CAC) for online lenders, which have historically accounted for a massive portion of their SG&A expenses. Exclamatory headlines about an industry being upended while overpaid, c-suite executives are asleep at the wheel can make for a compelling story. There was much discussion around the time LendingClub and OnDeck went public in December of 2014 about banks being left in the dust while smarter, younger startups were slowly chipping away at the market opportunity. Listening to an interview with Kara Swisher and Jamie Dimon from last year, it is abundantly clear that bank executives are hardly unaware of the changes in the industry. The reality is these online lenders have helped obviate the need for digitization and enhanced customer experience in the banking and lending space. This might be an example of the first mover disadvantage — foraying into next generation areas of banking is bold. But it also helps to clarify opportunities to incumbent banks whose eyes are open. “Let’s look at lending [startups], where they’re using big data for the credit side. And it’s just credit data enhanced, by the way, which we do, too. It’s nothing mystical. But they’re very good at reducing the pain points. They can underwrite it quicker using — I’m just going to call it big data, for lack of a better term: “Why does it take two weeks? Why can’t you do it in 15 minutes? 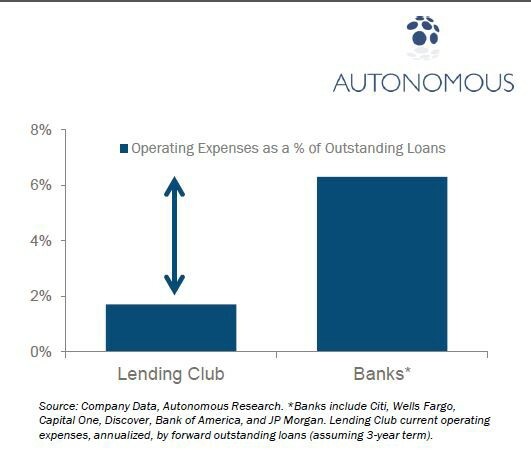 The figures above demonstrate the surface-level value that marketplace lenders provide: first, they have far lower operating expenses through their technology-enabled processes. Second, the customer experience of obtaining a loan through an online lender is far easier and more enjoyable than going through traditional banking channels. What I underestimated, beyond how little I really knew about the industry, was the difficulty of the task that alternative lending startups pledged to pursue. The provocative campaign of “disrupting the banking industry” isn’t discussed in the same way that it was a few years ago. Michael Mauboussin, an author, investor, and Columbia Business School Professor, walks through the Total Addressable Market valuation technique in a 2015 report with Dan Callahan. He touches on several tactics as well as some limiting factors around this increasingly used valuation approach, a few of which I think are relevant here. First, he mentions the replacement cycle, borrowed from Frank Bass, which looks at the question of “once a consumer buys something once, how frequently will he or she replace that product?” He also covers the topic of base rates, which looks at “what happened to other companies when they were in a situation similar to the one you are examining.” The idea is to consider the probabilistic likelihood of accomplishing a specific outcome, such as stealing 10% market share in a crowded industry or sustaining 50% CAGR in loan originations for the next ten years, based on similar instances that have already occurred. Outliers do exist, but accommodating for the base rate helps to keep expectations in line. There are certainly changes that have (and will continue to) help reshape the banking industry; yet, banks are not the aimless bystanders they have been made out to be. SoFi launched their controversial “Don’t Bank” slogan during a 2016 Super Bowl commercial. A few weeks ago they announced their intention to apply for a bank charter. The lofty ambitions of these alternative lenders have driven lots of attention from venture capitalists over the past few years, but financing trends have moved in tandem with the growth trajectory of the online lending industry, which has slowed in recent quarters. 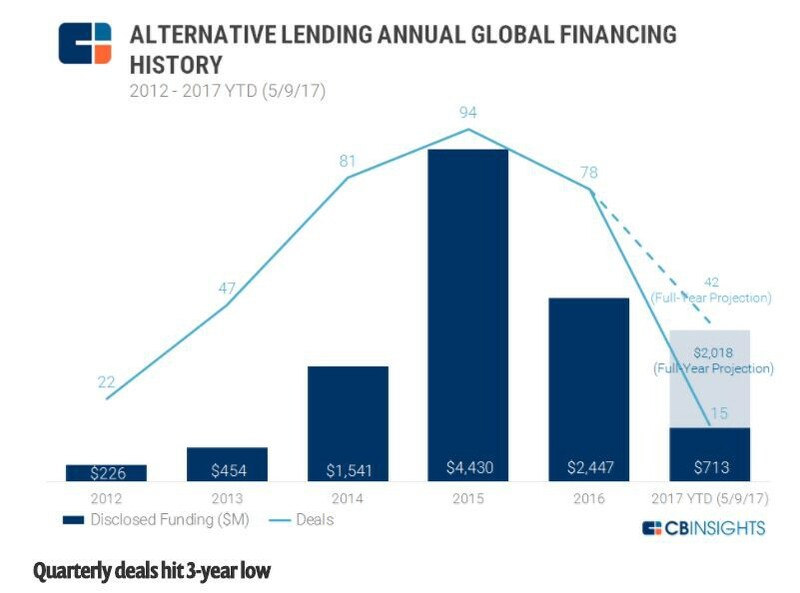 Recently, CB Insights noted that alternative lending fundraising is on track for a five-year low. These companies do play an important role in providing capital and debt refinancing beyond conventional banking channels, particularly for those customer segments that are underserved by banks due to lack of credit history and smaller principal loan amounts. There is also an element of promoting financial inclusion by providing capital to the underbanked population. The infographic below demonstrates all of the elements of the lending value chain in which fintech startups have attempted to insert themselves. The future of this space, however, is far from clear. Inception — Zopa was created in 2005, followed by Prosper and LendingClub in 2006. The “peer-to-peer” lending industry began as a way to borrow money from an alternative channel, peers, while those peers can earn a generous return in the process. 2008–09 Financial Crisis — According to Frank Rotman’s white paper, the first movers capitalized on four major factors that allowed for rapid growth: (a) they were well capitalized, (b) the SEC stepped in “just when credit losses were skyrocketing everywhere else,” artificially boosting demand for peer-to-peer loans since banks were so reluctant to lend, (c) banks scaled back consumer installment lending in midst of the 08–09 crisis, and (d) the housing crisis cut off access to cheap, easy credit via HELOC’s and refinancing options through rising home prices. The subsequent zero-interest rate policy environment didn’t hurt either. Post-Crisis Responses — Dodd-Frank and Basel III regulations raised capital requirements for banks and had them dialed in on trying to clean up the post-crisis mess. The CARD Act of 2009 also lead to a series of rate hikes for credit card issuers, reducing the appeal of credit cards as a short-term credit outlet. The aftermath of the crisis helps demonstrate the fortuitous timing the online lenders had when they were getting started. “From Exuberance to Tempered Realism” — until the fourth quarter of 2015, the marketplace lending space had been growing rapidly, raising lots of capital, and establishing a name as a viable candidate for continued prominence. However, originations began to plummet in the first quarter of 2016 due to concerns around the lack of reliability of the funding model and heightened charge-off rates. Concerns around (a) transparency, (b) data reliability, (c) delinquencies, (d) funding costs, and (e) lack of demand were accompanied by a downturn in 2016. To add insult to injury, Renaud Laplanche, then-CEO of LendingClub was ousted in the midst of a highly publicized scandal involving falsified loan data to accommodate investor demands. Public stock performance of LendingClub (LC) and On Deck (ONDK) was poor as well. Dispersion — moving beyond the original P2P model, three primary business models emerged within the broader marketplace lending space. (1) Pure Marketplace: brokers and originators only, without holding loans on their balance sheets, (2) Balance Sheet Lenders: as the name suggests, these players hold the loans on their own balance sheets, and (3) Hybrids: some loans are sold via marketplaces, while others are originated and held on the balance sheets until they are securitized or until maturity. 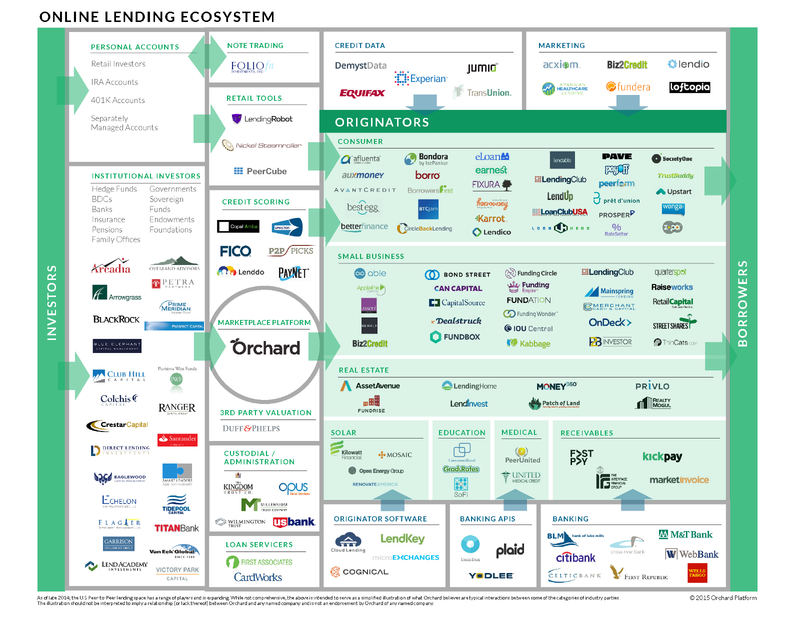 There has also been a growing number of partnerships between incumbent financial institutions and marketplace lenders. Limits to (Regulatory) Arbitrage — without getting into the weeds on details, part of what allows these marketplace lenders to operate the way they do is because they rely on intermediary banks (one in particular, WebBank in Salt Lake City, Utah), which enable them to circumvent usury regulations so long as loans are sold off within two days of origination. In light of recent legal cases, namely Madden vs. Midland Funding, questions arose about the viability of this regulatory arbitrage that allows platforms like LendingClub to offer loans at high rates through “preemption.” While there are no immediate impacts for online lenders, there are expectations that future issues may arise which could shed more light on this regulatory evasion. Further questions exist around the ethical implications of underwriting algorithms which assess the creditworthiness of prospective borrowers — some of which may profile against certain racial or other demographic contingents. These issues are still alive and are currently being discussed by regulators. Future Risks — there are several underlying concerns about the future of the online lending space. They include (a) the fact that these companies are untested in the event of a downturn, (b) rising delinquency rates, and (c) uncertainty of the funding model, particularly in times of credit downturns. We have seen incumbents move into this consumer unsecured lending space quickly, most notably Goldman Sachs’ launch of Marcus. Lloyd Blankfein recently said that Marcus has already originated over $1b in loans and is expected to cross $2b by the end of the year. They have found a substantial role in the online space in only 18 months. American Express has also entered into the small business lending space. Amazon has also quietly originated over $1b in small business loans over the past year. Fintech startups can flaunt their lean organizations and nimble business models, but what they do not have is massive, loyal customer bases. Banks do. Dated infrastructure certainly poses challenges for incumbent banks who are burdened by legacy systems. However, startups cannot compete with the customer bases that incumbent lenders have. Patrick O’Shaughnessy and David Chilton, author of The Wealthy Barber had a fascinating and wide ranging podcast interview recently. They discussed the vast opportunity available for startups to create value in the financial services industry, but highlighted the struggles that many have faced in their daunting task to disrupt the banking system. 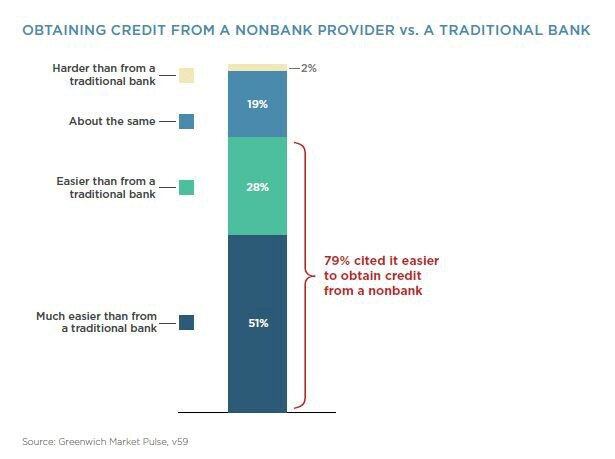 The segment of the conversation below provides a clear example of the lack of defensibility of marketplace lenders as well as the hurdles they’re up against with banks’ client bases. There has been a similar phenomenon taking place in the robo-advisory space. Wealthfront, Betterment, and others have gained a lot of traction among the millennial demographic over the past few years. 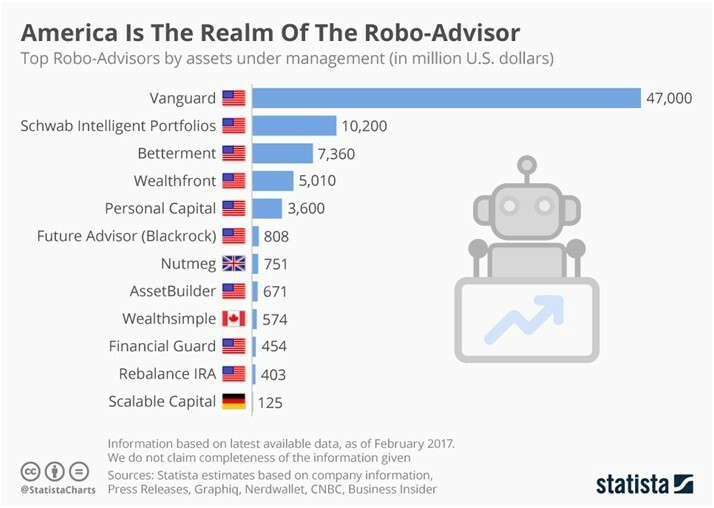 However, Vanguard, Charles Schwab, and others more recently have launched their own robo competitors and have amassed much larger assets under management in a much shorter period of time. While the fees associated with competitors aren’t markedly different, the incumbent wealth managers benefit from the same factor that banks do — a large existing client base. Is the marketplace lending business model a viable one, or has it simply become an asset class that has helped to feed a demand for yield in a low-yield environment? There is a genuinely valuable service provided, which is largely oriented around handling what banks don’t want to handle, or areas that it doesn’t make economic sense for banks to handle. 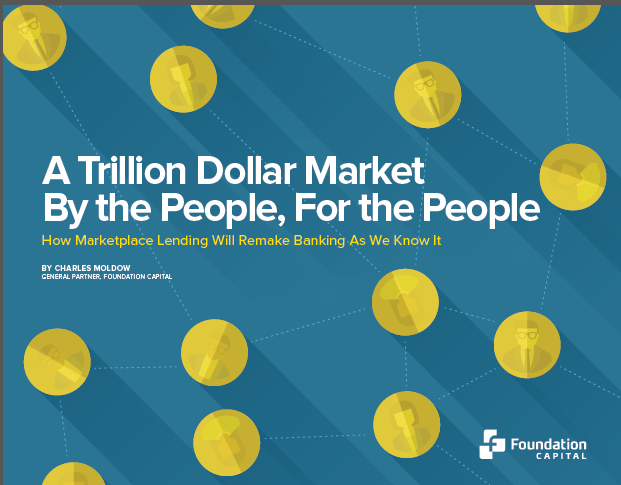 Is there ultimately a role that marketplace lenders can play? It seems like they can continue to provide some value in the credit card debt refinancing space. I imagine there is also a compelling role for small business lending at amounts that don’t make sense for banks to lend. Beyond that, there is a real opportunity to serve as another capital provider to promote financial inclusion for those that are overlooked by conventional banking channels. Online lenders could also provide some much needed transparency in the opaque and often predatory payday lending market. We’re seeing that today with companies like LendUp. Additionally, providing credit scoring information and education is a valuable service that should be available to everyone. But is this a necessary alternative fixed-income asset class that investors should have the opportunity to invest in? It remains to be seen. Everyone is susceptible to the narrative fallacy, creating stories to explain scenarios that are in reality far more complicated and random than a quick story suggests. It is a compelling narrative to hear that some well-funded startups with visionary leaders and notable board members can chip away at a few percentage points of the overall market share in the massive global lending market. There is an alternative point of view, however, espoused by investors like Matt Cohler and Peter Fenton of Benchmark, that suggests the best ideas are often ones that initially don’t appear to be serving a large market. Instead, they find a niche opportunity, build a product that customers love, and expand from there, creating an entirely new market that was previously not considered. Inertia is far less of an influencing factor in this bottom-up approach.